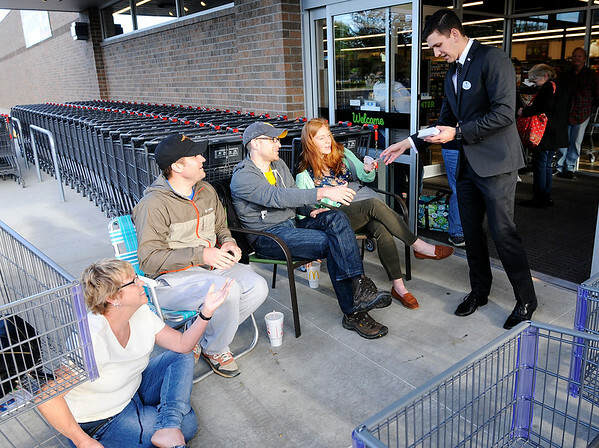 ALDI district manager Paul Johnson hands out numbers to the first 100 people in line as the remodeled ALDI on 53rd Street reopened on Thursday. From left are, Vickie Rudd, Trent Palmer, Jason Varner and Lindsay Harger. The first 100 customers in line received an ALDI gift card.